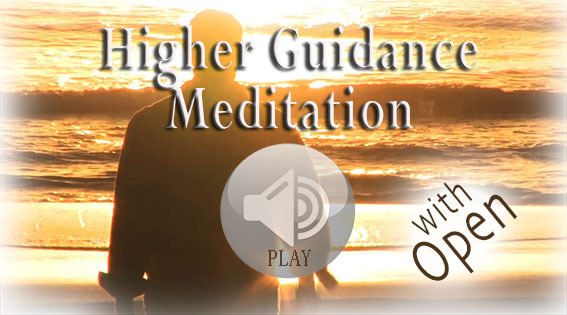 Connecting to the Higher Self Here is a powerful meditation that you listen to for free, to help you connect with your higher self and draw the lighter, more connected energy down fully into your being that you may benefit from more powerful guidance in your life. Ultimately it will help you become your higher self and live it in every moment. Enjoy!!! That was one of the best guided meditations I have ever experienced. This reinforces for me that Openhand is the real deal. Glad you enjoyed it Bruce. Thanks for sharing that, Open. I listened to it 2 days ago & it felt most timely for me. 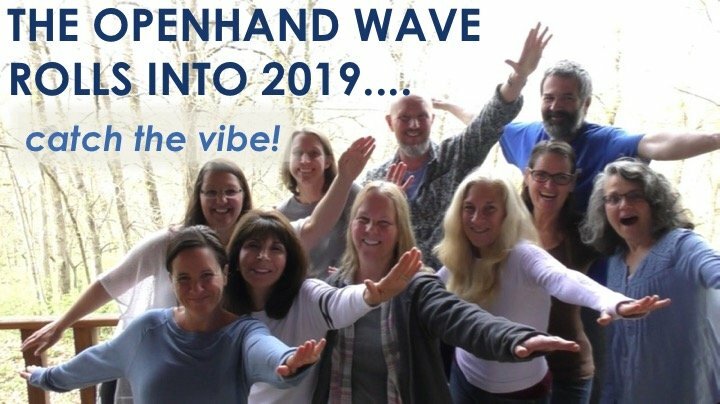 Are there any other guided meditations on audio available on the Openhand website? I've searched, but only found written ones. 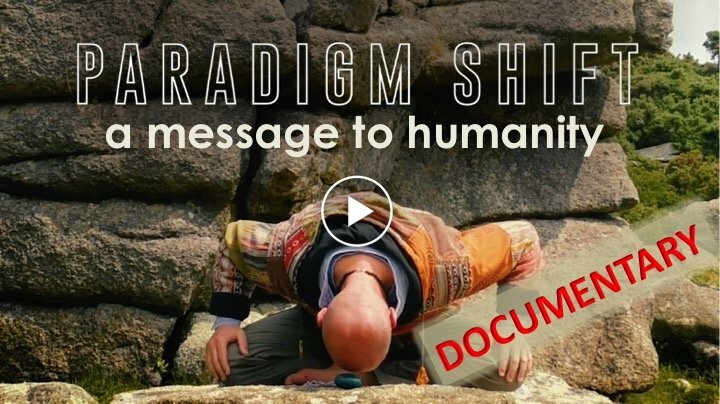 I have been hearing this meditation nearly every day for the past two weeks and it's getting better all the time. I just love it, especially pulling ones soul up with the in breath and propelling it up with the out breath. Awesome! Sometimes it feels like bathing in champagne (cheaper, though!). And your words just flow, Open, it's a real pleasure listening to you. I usually fall asleep when I listen to recorded meditations, but here I enjoy every bit of it to the end. I have a question on this particular meditation. This is surely one of my favorites as it gives me loads of energy every time I listen to it and practice the breath work, as I follow your voice. My question is (hope I won't sound too silly): what can one expect to feel after practicing this meditation daily? Will he/she attain self-realization one day? I would really like to know your opinion. It's more about the purpose of it that I am interested in. I have read many books, articles, opinions but nowadays one can easily get confused. It's like trying to open your 3rd eye (to give an example) without any type of knowledge or preparation at a deeper level. Hope it's not too weird (silly) to ask this. There are no silly questions Letitia - only silly answers! 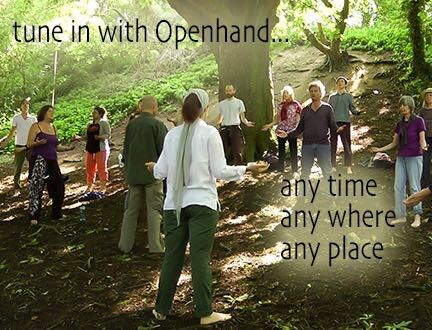 The Openhand meditations are geared with maximum openness. 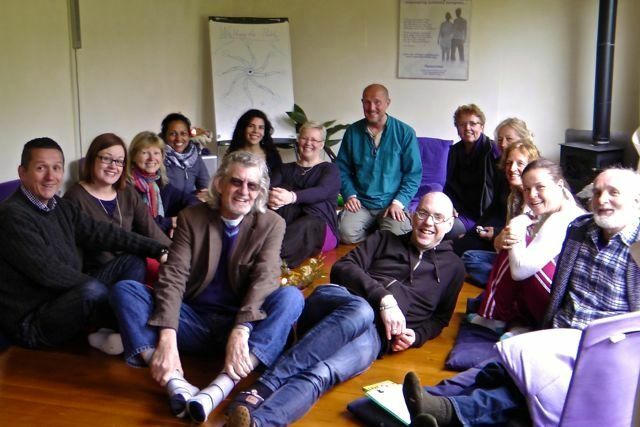 What I mean by that, is that practitioners are encouraged to work with what they feel and what activates - for them. It's about beginning to recognise consciousness within your field that simply feels 'right' - to you. If it feels 'right', then keep working with that. 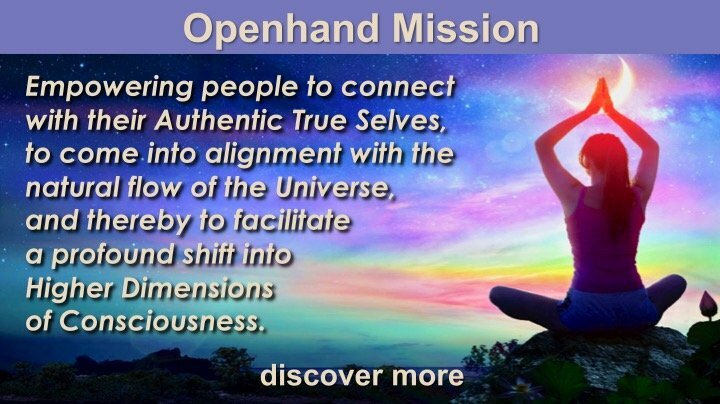 This meditation was inspired to help people access that higher sense of lightness that is their higher self. If it helps to feel expanded and connected, then that's great - it's fulfilling its aim. From there, it's about learning to take your own guidance from what activates - beginning to trust that you truly know inside what's right for you and how to work. Self-realisation will happen - when a person stops struggling to be a certain way in the moment. Self-realisation is the unwinding of all effort - the self naturally arises. Go with the lightness, begin to trust in the higher knowing which lands as a spark of inspiration - let that guide your inquiry. I'd love to download this... Is there any way to buy it and download it? Glad you enjoyed it. At the moment not all our meditations are downloadable - like this one. But we will increasingly configure them all that way. I just did this meditation, it was a really great and warming experience <3. It seemed like halfway through, when I was completely relaxed and letting go, the sun was shining while my eyes were closed, the light coming through my eyelids, but this couldn't be the case as it was completely cloudy and raining. What could this be? It was your higher self - what else! Wow, what a powerful experience! Yes, there was so much light around me, shining through my closed lids. And there were many others there, some of them so very close. I felt something, like a ray of rainbow-light shine right into my chest, I even vaguel heard/felt the vibration, knew that was at least one other harmonising with me. So beautiful. And yes, trust. Trust. I will remember that. Thank you so much for this, Open. what a beautiful meditation. Feeling so happy and light and ready to take on the rest of the day.